Marina is a sweater design by Alice Starmore. This fall I'll be joining an online KAL (knit along) for making this sweater. I'll be using the Workbasket version and the original colors. In online discussions, some thought the colors were very muted. I think the opposite and think they are a bit bright for this woman who likes mostly blues and greens. 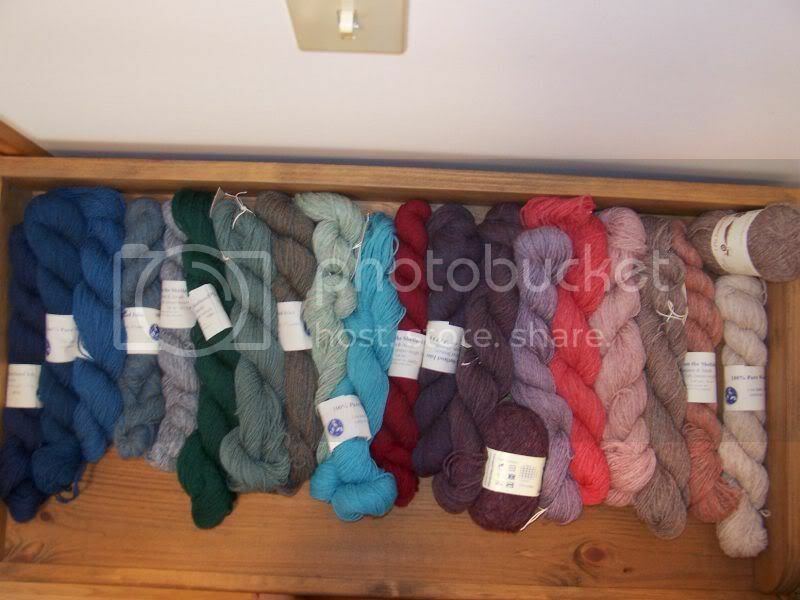 Photos show the yarns for the ribbing and then all the yarns. These are all the original colors except for one of the purple heathers. 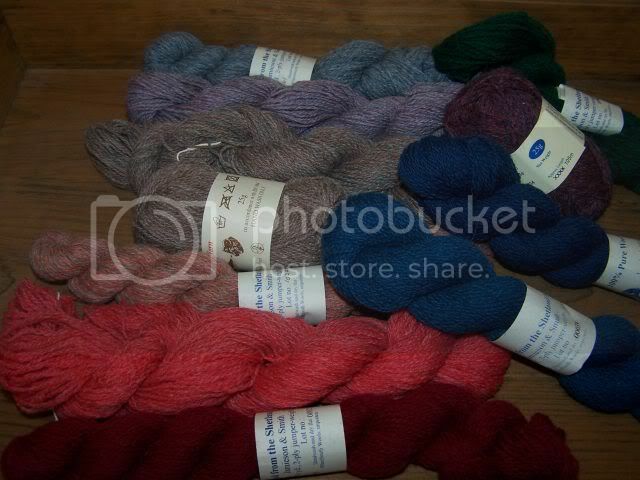 I had a Jamieson yarn called Bramble that was too close not to use up. Trying hard not to start it early as I'm still working and enjoying the Shirt Tail Hemmed Fair Isle. Oh, I love these colors, what a great variety! Looking forward to seeing the progress pics as soon as you've started Marina! Happy Knitting! I'm looking forward to starting Marina too! I really love the bright colors. Can't wait to see your finished Shirt Tail.